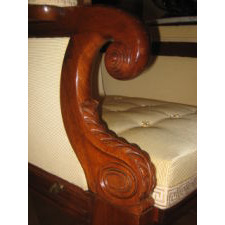 The lotus-carved arched crest rail above a beaded frame holding an upholstered back, hinged at the base, allowing the back to recline as the upholstered seat slides forward. 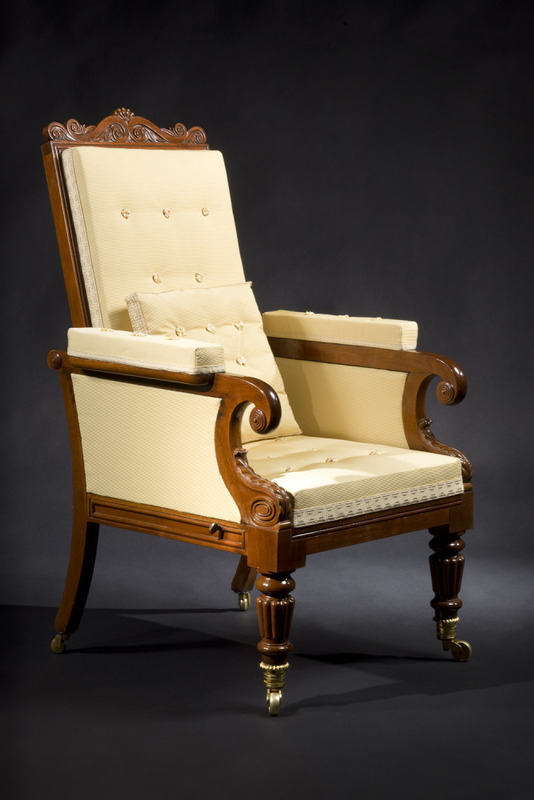 The padded arm rests terminating in scrolls decorated with tiered, concentric bosses and supported by water-leaf carved scrolls, above turned and reeded front legs terminating in important gilt-bronze cup casters. The rear saber legs having brass caster wheels. Woods: white pine and tulip poplar. 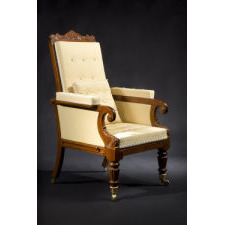 Condition: Excellent: The front casters have been restored to their original matte and burnished lacquer appearance. The rear casters may be period replacements. Repairs to backing ledges and small restoration to bottom of proper right rear leg. 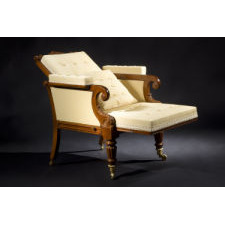 The upholstery is modern using the materials and methods of the period. 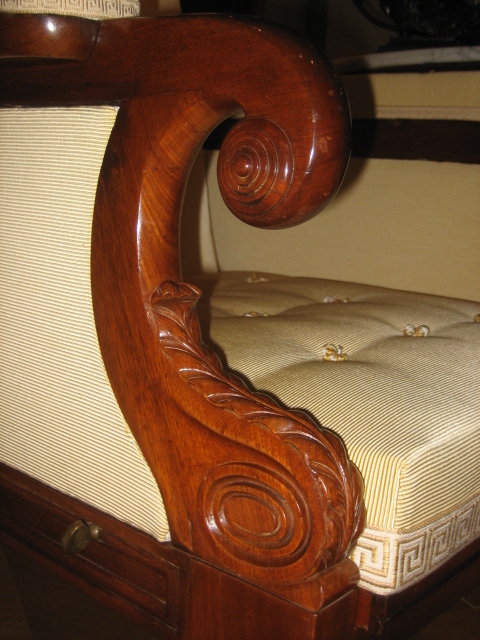 The chair has a shellac refinish. 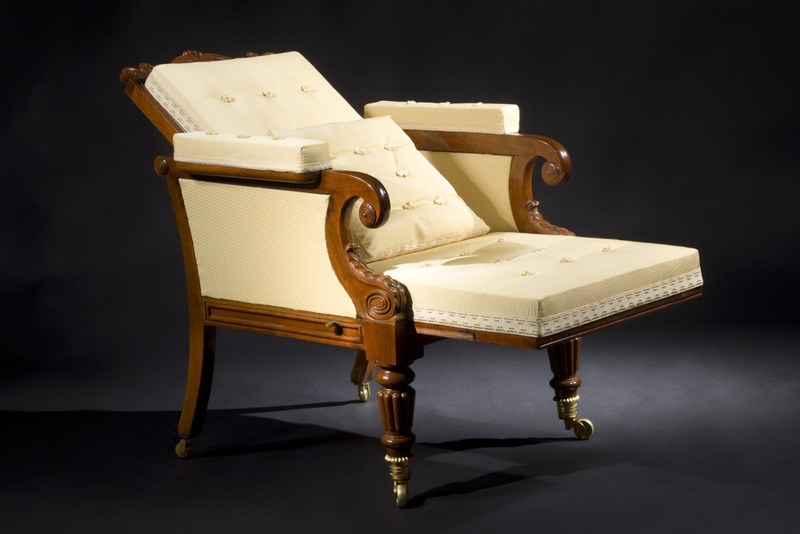 Published: C. R. Berlin "'A Shadow of a Magnitude': The Furniture of Thomas Cook and Richard Parkin," American Furniture, ed. L. Beckerdite (Hanover, Chipstone Foundation, 2013).